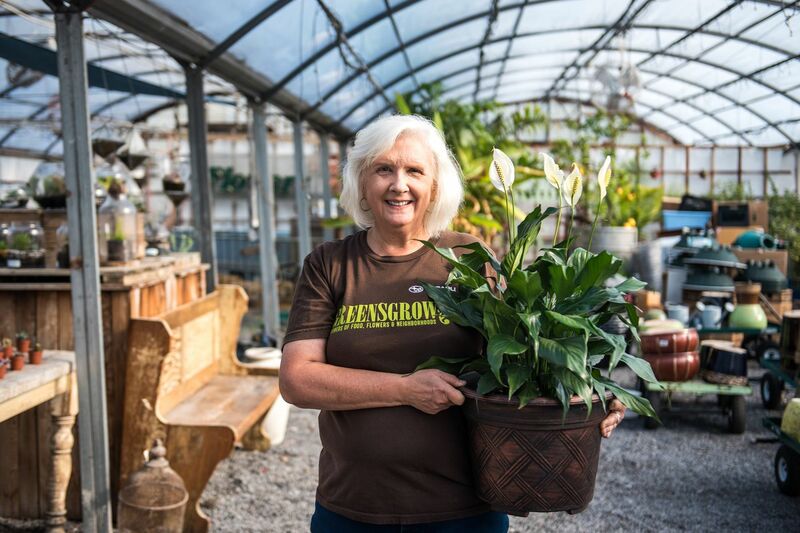 Horticulture specialist Donna Zagrapan holds one of her favorite, NASA-endorsed air-purifying houseplants, the peace lily, which absorbs various toxins from the air. As winter grows dark and the weather gets gloomy, it’s time to acquire some companions that will change your mood: houseplants. Research indicates that indoor plants can reduce stress and boost happiness. And beyond their outlook-improving powers, many verdant beauties claim air-purifying properties, too. Not all plants, however, are created equal. As Zagrapan noted at a recent Plants for Indoor Air Quality workshop at Greensgrow Farms, while most simply carry out the give-and-take of oxygen for carbon dioxide, some plants absorb toxins, too. So which indoor varieties maximize your returns? The NASA can answer that. Following a 1989 study to determine the best ways to clean the air in space stations, the government agency published a report on plants proven to purify the air. Researchers identified 29 species and varieties that remove common airborne chemicals, specifically benzene, formaldehyde, trichloroethylene, xylene, and ammonia — all of which are linked to health issues ranging from headaches and eye irritation to heart problems. Zagrapan notes that these chemicals are omnipresent in our homes, emitted as gases from various solids or liquids such as paint, rubber, floor wax, plywood paneling, and cleaning supplies. It makes her appreciate the understated capabilities of plants all the more. Below, Zagrapan shares the 10 NASA-endorsed, air-purifying plants that are easiest to sustain indoors. The first seven will thrive even in low-light conditions, meaning that while you will need at least one small window in the room, direct sunlight isn’t necessary. The latter three — aloe and two types of ferns — are only slightly more demanding.